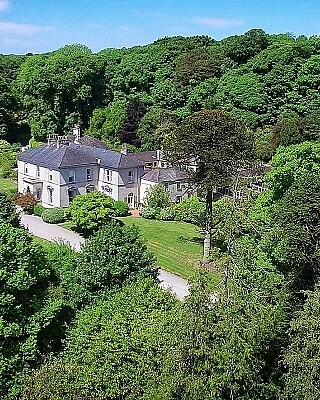 The house is spacious and bright and beautifully decorated and it is set in 12 acres of mature beech woodland and landscaped gardens. Accommodation is exceptionally generous and gracious with antique furnishings, a grand piano and full-sized billiard table. Situated 9 miles from Blarney, 38 miles from Killarney and 10 miles from Cork city and airpor, this is an ideal location for touring both Cork and Kerry and perfect for family reunions / anniversaries. It is available for self catering and catered rental, with accommodation for up to 16 people. Perfect for vacation rentals. Ten 18-hole golf courses are within 25km. Children welcome.